Firstly, I am CEO and Lead Launch Manager at the Product Launch Consultancy, a Product Launch and Launch Services company. I'm an expert in creating launch strategies both from an overall strategic point of view, and also from the technical side, enabling successful launches from any angle. I'm also an expert in Direct Marketing and websites and products that convert. I have “a gift” for knowing what works, and what doesn’t. Years of working in the direct marketing industry has given me the ability to immediately see where a website works, and where it can be improved from an aesthetic and persuasion viewpoint. Certain sites work for a certain type of person, and don’t for others. I have this ability to know what they’re going to think when they come to your site and what to do to move them in the direction you want. I started my online career way back in 1996/97 as a web developer. Using technology what is ancient by today’s standards, I developed websites for large companies, hotels and multinationals, including Irish Ferries, Aerlingus (Ireland's National Airline), Kelly’s Hotels and Microsoft to name a few. From there I moved into the Corporate sector demonstrating and selling online solutions, firstly with iCat, one of the first online Catalogue solutions which was eventually bought by Intel. I then moved to NetObjects, a provider of web creation and web collaboration tools. 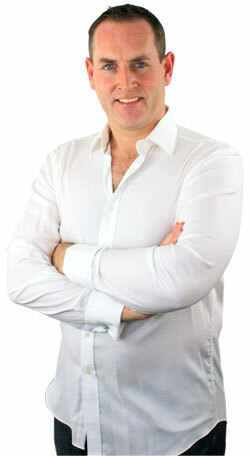 I finished my corporate career with PrimeResponse, an extensive corporate CRM solution. I was a PreSales Specialist focused on the software’s new online customisation features. My role was to develop demonstration environments for both website and email customisation to be included in marketing campaigns that were part of the overall marketing strategy, including direct mail, call centres, etc. On my own initiative I created an SMS Customisation and Marketing solution that worked with the PrimeResponse software. This was later incorporated by Development for full rollout within the software. While with PrimeResponse, I worked with companies such as John Lewis, Priceline.com, Barclaycard, BT and Virgin Airways to name a few. I then left the corporate world to pursue my own entrepreneurial endeavors. I secured investment for a Dot Com company of my own in 2000/2001, but before the deal was finished, the Dot Com Bubble burst, and it never materialised. Because of that, I then went on to focus on my athletic career. As an experienced Olympic Taekwondo athlete, I moved to the USA to train with Two Time Olympic Champion Steven Lopez, and his team in Houston, Texas. It was there, training full time, that I needed to generate an income while being able to train in Houston, and compete all over the world. During this time I developed my Internet Marketing skills and added to my arsenal of Internet Development and Presentation and Sales skills, from my previous roles. I began to make an income that allowed me to focus on my Taekwondo training, and be flexible enough to fit around my travel and athletic lifestyle. Because of this, I was able to represent Ireland in 5 World Championship and 6 European Championships, winning Gold in many International Championships in America and across Europe, and was also Irish National Champion 16 times in my long career. Because of my involvement in Olympic Taekwondo, I saw a gap in the market for Taekwondo events to be distributed all over the World, and so I founded Taekwondo DVD, a company solely focused on bringing Taekwondo to the mass Taekwondo community. 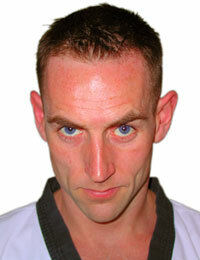 I grew the company to be the biggest Taekwondo DVD company in the World, with distribution on 4 Continents. I also secured an exclusive partnership with the European Taekwondo Union (ETU) and became their Exclusive TV and Video Partner. Taekwondo DVD produced 3 European Championship programmes for broadcast for the ETU, which were watched on Eurosport by approx. 20 million people across Europe. I also secured partnership agreements with the world governing body of the sport, the World Taekwondo Federation, as well as also becoming the exclusive Video Partner of the French Taekwondo Federation. These partnerships have allowed the company to create highly acclaimed exclusive products that have been viewed on every Continent in the World. 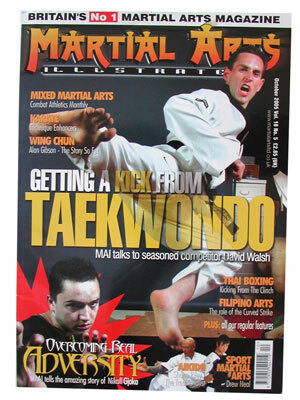 Due to my sporting achievements and entrepreneurialism in the Martial Arts space, I've been featured on the covers of Martial Arts magazines. It was with launching my physical DVD products, that I gained extensive experience in Product Launches. I tested various marketing strategies and launch methods through my own products. It was because of this experience that I was asked to launch a product for a client, which was hugely successful. Wanting to build my business further, and because of my entrepreneurial spirit, I began to focus on launching client’s products, as well as utilising my internet development and marketing skills and experience. I have managed launches in many varied niches, both for myself and my clients. I'm a Certified Developer for WishList Member membership software, and have extensive experience developing membership sites both for myself and clients in many niches all over the world. I have also created the leading WishList Member training product on the market today – WishList Member Tutorials – which has raving reviews from all my customers. With my technical skills and Marketing Skills, I work on Membership Sites for clients for launches, as well as outside launches. My unique perspective allows me to set up sites that add to the marketing, rather than cause it problems. I see problems with the success of the site before they even begin, and this has lead to me being highly sought after for Membership Site creation. 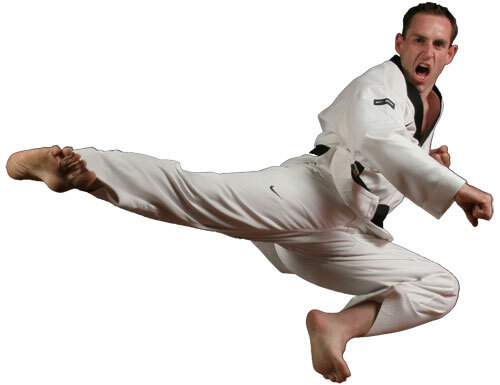 With over 16 years as an International Gold Medal Winning Athlete in the Olympic Sport of Taekwondo, I have now turned the same endurance, focus and determination it took him to being a Gold Medal International Champion to my clients and business and apply the same principles I used to being one of the stars of my sport, to being a star in online marketing. I have trained directly under Jeff Walker in his Product Launch Manager Training, and was also a member of Eben Pagan’s Guru Mastermind Mastermind Group. I have a great marketing mind and can maximize the potential of any product. If you’re looking to increase your product awareness, or even get your product up and running to the best of its potential, I can definitely help. My knowledge and experience for launching products and set up has not only helped Entrepreneurs and Business Owners increase their revenue, but also saved time and money, and unnecessary stress, for all involved. Contact me to discuss how I can help you and your business to make more online today.